THE COCKTAIL GARDEN Let's get the party started with Cocktails and Canapés! Breathe life into this picture by designing the ideal outdoor room and you can relax. No need to rush off for photographs, no need for guests to move from venue to venue. They can simply step through the hedge from your Ceremony to the cocktail garden where our staff can meet them with an enticing range of cocktails and canapés again personally chosen by you to complement your overall theme. THE MARQUEE – TIME TO ADD SOME COLOURThis is your chance to make your indelible mark. Will it be traditional white, simple and elegant with coloured napkins, table runners and floral centrepieces? Or perhaps shabby chic with bunting and sofa lounges? Clean lines with lanterns and potted trees for the natural look or go wild with Bedouin carpet spreads and Moroccan cushions. What a marvellous palate we provide for your creative freedom. THE ICING ON THE CAKE – TAILORED MENUSAs simple or as complex as your heart desires! Our aim is to listen to your ideas and vision for your wedding and working with our amazing Chef we want to create the exact style and choice of menu to ensure the absolute success of your big day. 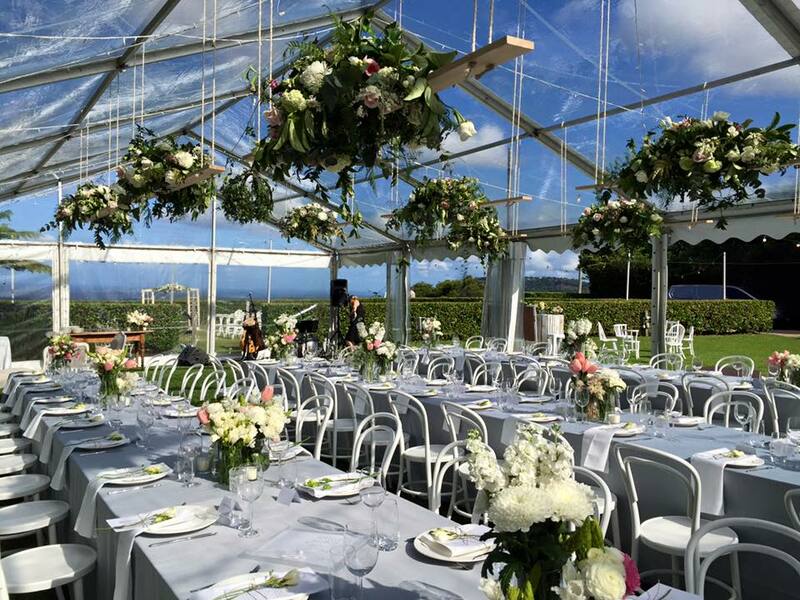 Your Maleny wedding can be brunch, lunch, classy cocktail, canapés, traditional three (or more) course sit-downs, sumptuous buffets, or super chic High teas - together we can design the perfect meal to complement the theme and atmosphere you have created. Memorable Events aren’t expensive...They’re priceless! 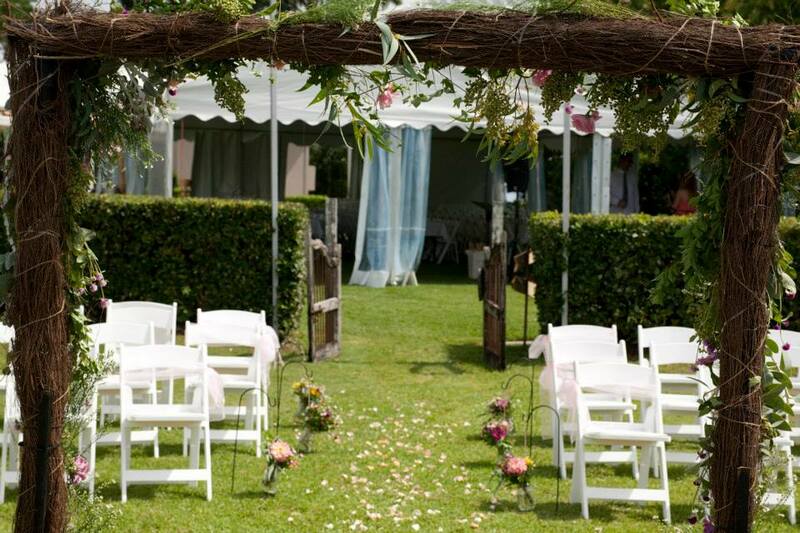 An outdoor wedding comes with stunning opportunities and no restrictions. Wonderfully romantic and breathtakingly beautiful with nature as your backdrop. Frame yourself in magnificent lawns and hedges with the Pacific Ocean as your backdrop. Marquee receptions are all about freedom of expression so we invite you to unleash your creative juices, shake loose the shackles, express your individuality and help us create the dream of your life and memories for a lifetime. From the moment you begin the drive down the hedge lined entry to Vue de Lumieres, the magic of the mountains takes its hold. High above the Sunshine Coast you can relax, recline and refresh in absolute luxury. It's simple! We have one of the most beautiful locations on the entire Blackall Range between Maleny and Montville with postcard views of jaw dropping beauty. This natural canvas awaits the creative brush strokes of your imagination to furnish into your masterpiece, your piece de resistance - your wedding!